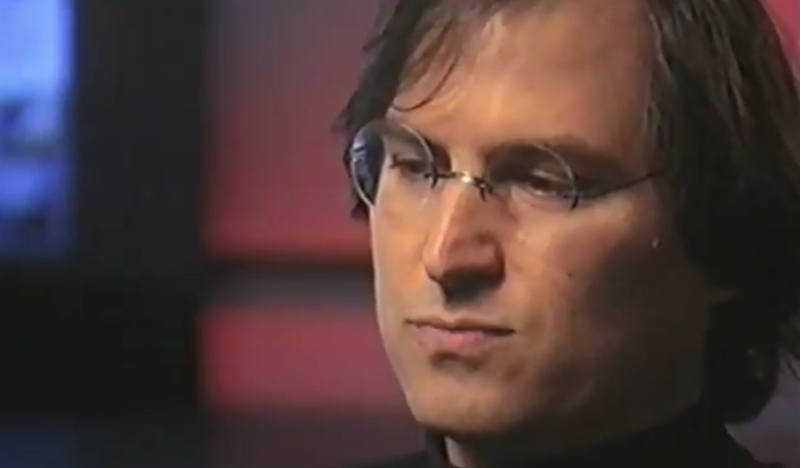 In 1995, journalist Robert Cringely conducted an interview with Steve Jobs during the production of his series Triumph of the Nerds. Only 10 minutes of that hour-long interview ended up being used in the series and the rest of it was presumed lost. Now, Cringely has discovered the original tape of the entire interview, which has been cleaned up and restored. A sample of the interview has been posted by Shira Lazar at What’s Trending. Jobs seems characteristically outspoken and opinionated in the sample above, it should be an interesting watch. The interview will be shown in various Landmark Theaters in 19 cities including Atlanta, Baltimore, Boston, Chicago, Dallas, Denver, Detroit, Houston, Indianapolis, Los Angeles, Milwaukee, Minneapolis, New York City, Philadelphia, San Diego, San Francisco, Seattle, St. Louis and Washington D.C. beginning November 19th. Would you go to the theater to watch a never before seen interview with Steve Jobs, or will you wait for the inevitable DVD or web release?